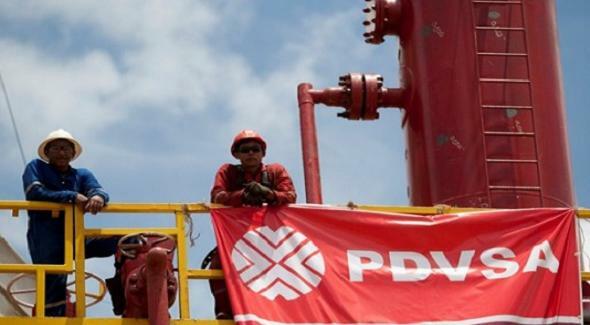 Venezuela’s troubled national oil company, PDVSA — Post-Chavez Reforms ? 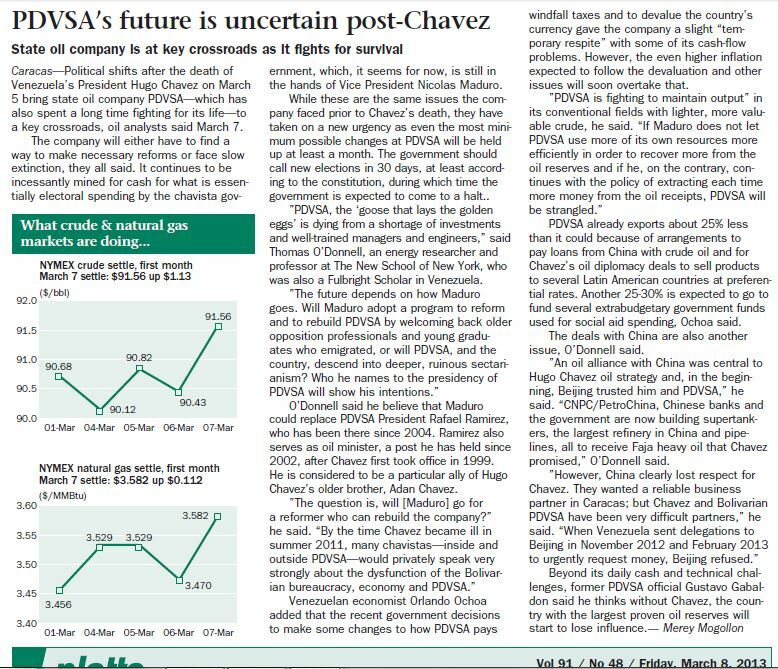 What’s the future of PDVSA post-Hugo Chavez? My comments to Platts Energy writer Mery Mogollon were quoted in detail today in Oilgram News. A JPEG image is below (click it to enlarge). My thanks for permission to post it here. This entry was posted in Chavez, Chavezsuccession cancer, China, Faja of the Orinoco, heavy oil, Hugo Chávez, international relations, PDVSA and tagged Hugo Chávez, PDVSA, Petróleos de Venezuela, Venezuela. Bookmark the permalink. Nice TV appearance and article, good insights as usual. Here are some of my views on the topic, let me know what you think?